The Sound of Music turns fifty this week, which means that fans everywhere are reminiscing about their favorite songs, their favorite von Trapp kids and their favorite of Max Detweiler’s suits. (No? Just me? That guy was a snazzy dresser.) For a half a century, this movie—based on the Rogers and Hammerstein stage musical, based on Maria von Trapp’s autobiography—has brought generations of audiences joy, while also teaching us a thing or two. Yes, The Sound of Music has schooled us on our do-re-mis and our Austrian flowers, but the lessons don’t stop there. 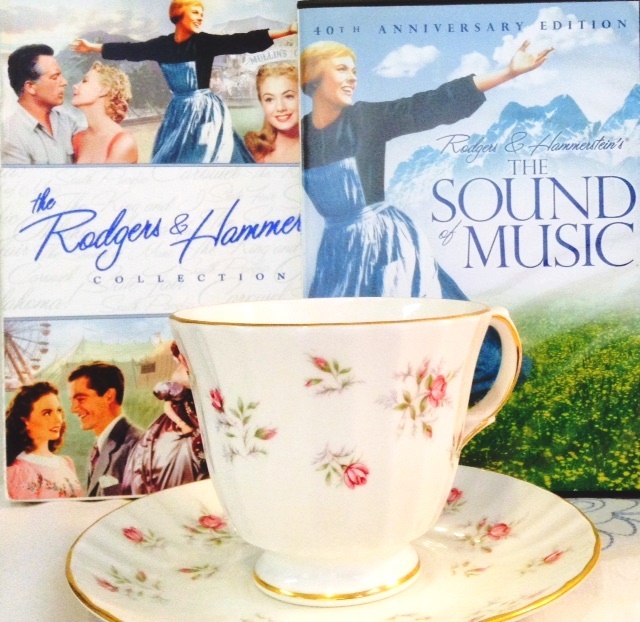 Here are ten lesser talked-about things every Sound of Music fan knows for sure. Fact: Once you’ve seen The Sound of Music, if you spot an open hill or even an empty field, you want to get out there and run around singing like Fraulein Maria. Maybe you’ve never acted on it (if you have acted on it, you’re my hero), but the urge is there. If you say you’ve never felt that way—I’m not sure I can believe you. The acoustics must be great. Who knew a bunch of nuns could be like the Plastics from Mean Girls? They stand around the abbey singing about how Maria is a headache and a flibbertigibbet, taking her down because her dress has got a tear? Like they’re so perfect. Sister Berthe is like the Regina George of the group, and those other three follow suit. Maria’s not an asset to the abbey? Fighting words, Sister Berthe. Thank God for Sister Margaretta, the voice of reason, and Mother Abbess, who means well, but does get a little caught up in the riddle solving. How do you hold a moonbeam in your hand? I thought we were talking about solving a problem like Maria. Let’s stick to one puzzle at a time, Reverend Mother. When you know the notes to sing, you can sing most anything…and you can also find confidence in you, get through a thunderstorm and escape the Nazis. Singing can even make a stone-cold sea captain harmonize and hug his children. All this? Just for an afternoon of entertainment for your dad’s snooty girlfriend? And a choreographed song and dance number for an evening party that has the whole crowd singing “goodbye”? I fold. We should all fold. Seriously. The absolute best. With her pink dress and her gazebo dance and her rebellious desire to taste champagne, is there any girl who grew up not wanting to be Liesl? Aside from the whole thing with the Nazi boyfriend, that is, and the idea that she needed someone older and wiser telling her what to do. But when you’re sixteen going on seventeen, you don’t always make the right decisions when it comes to dating. That doesn’t change the fact that she was the only von Trapp kid who got to duet on Edelweiss with her dad and also had a singing heart-to-heart with Maria. She wins every time. I’ve never even tried schnitzel with noodles, but if Kurt makes this face about it, you know it’s got to be good. I know, I know. She’s “playing a part.” But that voice! That smile! That all-knowing shake of the head! Plus, she must have picked up some tips as Mary Poppins, too. Liesl may have thought she was too old for a governess at sixteen, but I’m in my thirties and I’ll still take one, especially if she makes me a dress out of curtains. Happy Golden Anniversary, Georg, Maria and you little choir of angels! Thanks for all of the memories. And for making all of the plays we put on as children for our parents seem a little bit inadequate.